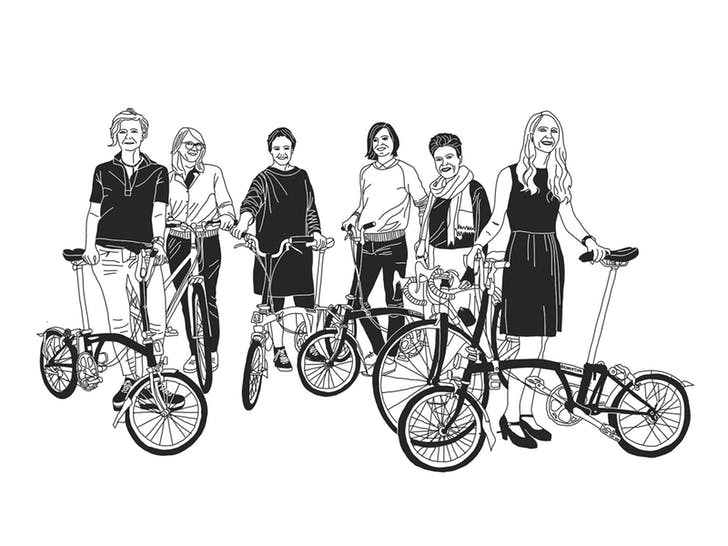 It took 400 kilometres and 3 days to put together an all-women visionary team. 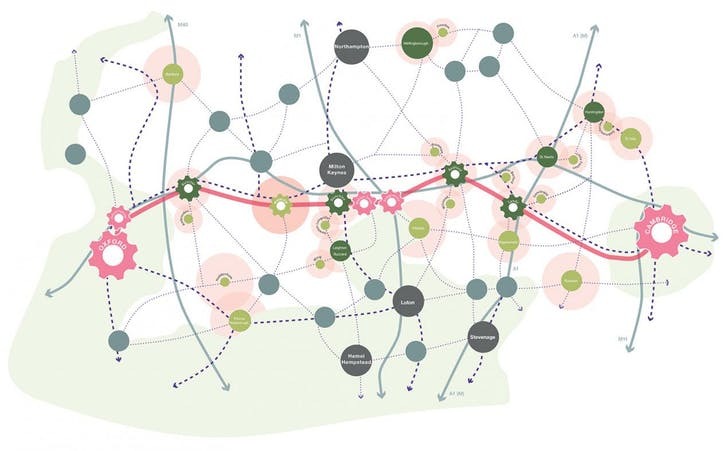 A couple of months later a plan of a sustainable connection between Cambridge and Oxford was born. In the very beginning of the story, two architects – Annalie Riches and Jennifer Ross – decided to take part in a free-entry contest of ideas on improving infrastructure in the corridor between Cambridge and Oxford. But they needed more colleagues to join their mission. Luckily, later that year the duo was joining a cycling charity ride for women working in property industry (commercial, industrial, agricultural or residential sector experts), so it only came natural to look for the rest of the crew there. The newly established VeloCity team, as they decided to name themselves, was joined by four more members: Sarah Featherstone, Kay Hughes, Petra Marko and Judith Sykes. The six women put their brains together and came up with a winning idea that didn’t occur to any of the other competing teams. Their proposal doesn’t only fulfil the original assignment (i.e. connecting Cambridge with Oxford). It involves the nearby villages, coming up with a way of ending their isolation – by creating a network of cycle routes and pathways. The proposal would benefit the settlements not just in terms of infrastructure, but also in terms of social and demographical aspects. Having it easier to visit one’s neighbours and being able to shop elsewhere than in the closest big city strengthens the sense of community and mutual support. The plan simply builds on the sense of place and identity which has always been there, rooted in the minds of the old residents. Speaking of current residents: the demographics of the area show that the houses are either inhabited by elderly people or serve as second homes. The opportunity to practice outdoor activities and the chance to enjoy healthy lifestyle in an interconnected countryside settlement could attract young families who currently don’t rank among the most common type of the Cambridge-Oxford village dwellers. Another positive is that the plan would be easily implemented, as in some cases it builds on existing pathways which are just not being used or have been forgotten. These could be transformed into cycle routes in a short time. Furthermore, the general idea is universally applicable. It’s eco-friendly, sustainable, it promotes sense of community and healthy lifestyle –qualities appreciated anywhere and globally. All of these aspects were the reason why the VeloCity team won the competition. And while it is ‘only a free-entry contest of ideas’, the sole existence of it shows that the National Infrastructure Commission which organized it has a deep dedication to cycling. And now, with a visionary guidance for any future infrastructural projects, good things should happen. Hopefully soon.